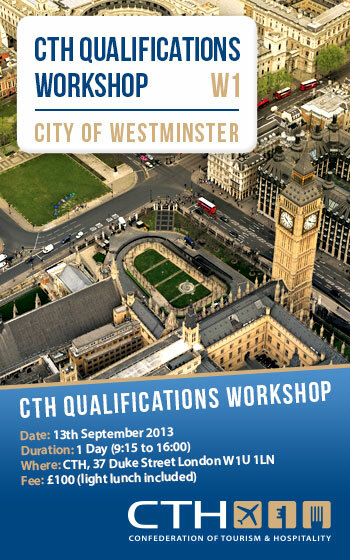 CTH will be conducting a September 2013 workshop on how to deliver the current range of CTH qualifications and how to prepare students for assessment. This September 2013 workshop will increase familiarity and confidence in CTH management syllabi and assessment processes, thereby maximising your students' success. Participants will receive a CTH Certificate of Attendance which will confirm their full participation in this valuable workshop. If you are interested in attending the training workshop please email marketing@cthawards.com for further information. We look forward to hearing from you!